New York’s Wade Davis, pedaled his way to victory in Sunday’s Tour de Tortola—finishing ahead of Phillipe Leroy, coming off hip replacement surgery last month—in a race that attracted 27 participants including Sir Richard Branson. The 42-miles race organized by the BVI Mountain Bike Club, began and ended on Beef Island. Defending champ Orano Andrews, expected to challenge for the top spot, finished third after mechanical problems. 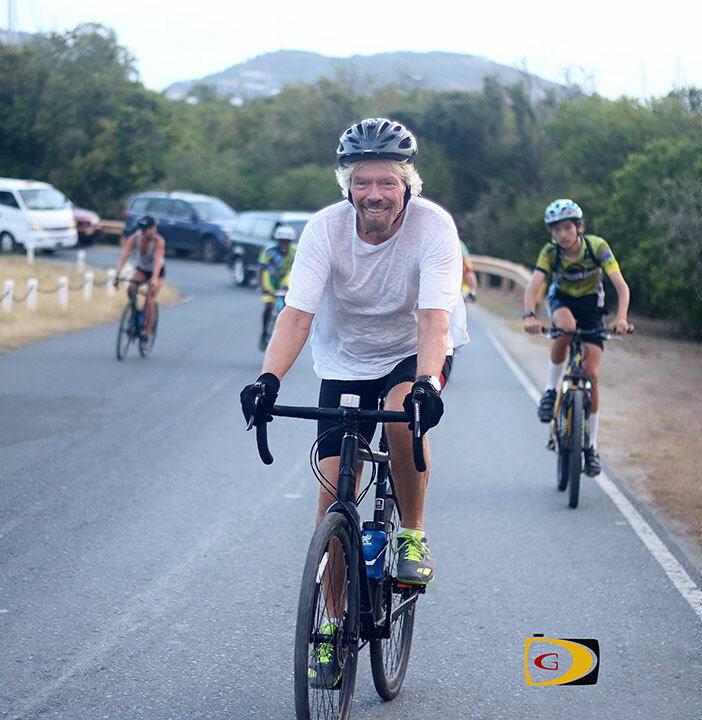 Branson, in his first tour, said he loves to keep fit and every year he sets a challenge. In September, he will be dong an 1800 mile bike ride across Italy, then swimming from Italy to Sicily followed by two Marathons up Mount Etna—something he does annually with his kids. Final results: 1. Wade Davis, 2 hours and 23 minutes. 2. Phil Leroy. 2:48. 3. Orano Andrews, 2:49. 4. Chris Potgieter, 2:58. 5. Justin Smit,2:59. 6. Barry Jones, 3:01. 7. Alistair Abrehart, 3:01. Clifton Forbes, 3:01. 9. Keith Williams, 3:06. 10. Richard Morgan, 3:07. 11. Peter Sorrentino, 3:15. 12. Dominic Bufton, 3:16. 13. Shane Donovan, 3:16. 14. Laurens Bloc, 3:16. 15. Iain Walker, 3:17. 16. Laurent Keeble, 3:27. 17. Gary Salter, 3:42. 18. Jim Cullimore, 3:49. 19. Aaron Gardner, 3:50. 20. Liam Blok, 3:52. 21. Derek Pettigrew, 3:54. 22. Carolina Pettigrew, 3:54. 23. Kenny Jones, 3:56. 24. Anna Livermore, 3:57. 25. Dave Pettigrew, 4:00. 26. Richard Branson 4:06. 27. Mike Masters, 5:01.